Would you like to work on cutting edge technology that makes a positive difference to society? 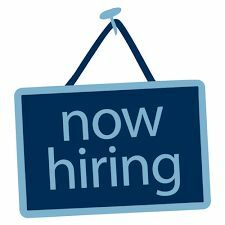 Mapunity is looking to hire Ruby on Rails developers who are excited about cool software. If you see someone like that in the mirror, write to us at contact@mapunity.in. 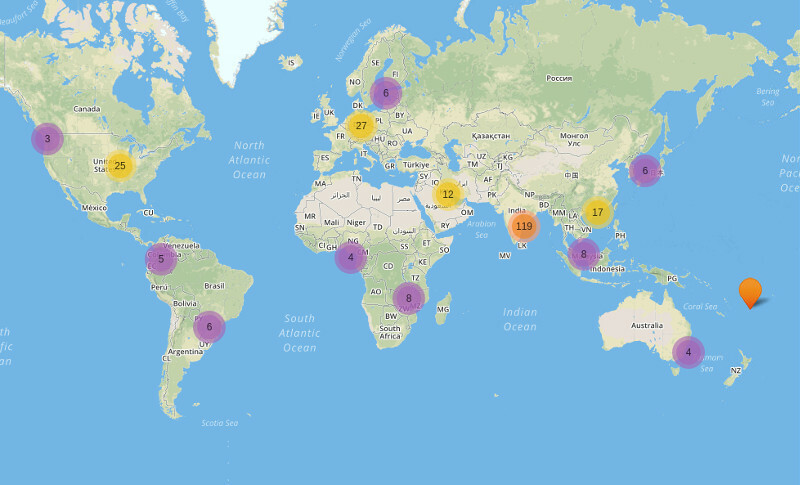 Mapunity is a rapidly instance-able social technology platform for cities which brings citizens, officials and businesses together to help solve public problems. 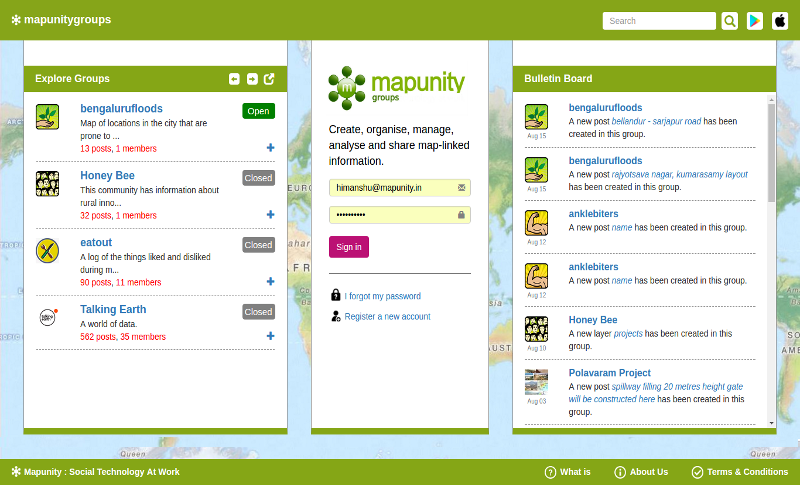 Browse this website to see how Mapunity can help your city or neighbourhood. Mobile apps from Mapunity are available on both Android and iOS platforms. Click on the links in this popup window to download your apps. 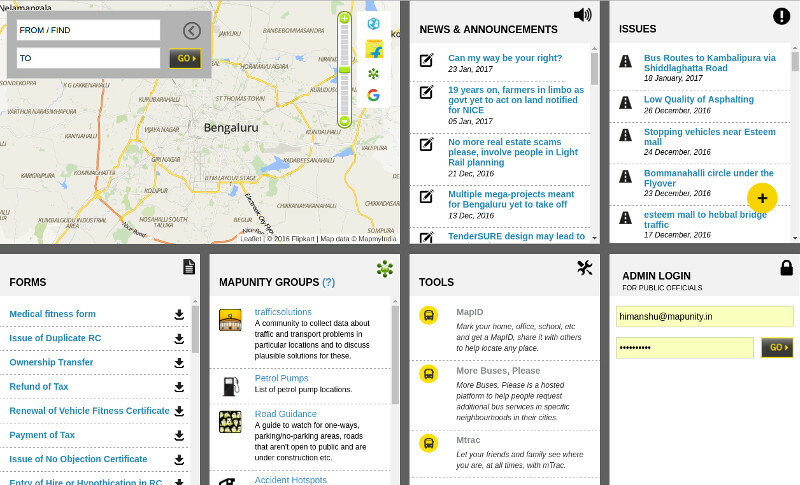 Mapunity - A social network for cities that helps administrators, citizens and solution providers collaborate to make their cities vibrant. mGroups - A spatial collaboration platform for groups to create, organize, manage, analyze and share map-linked information. 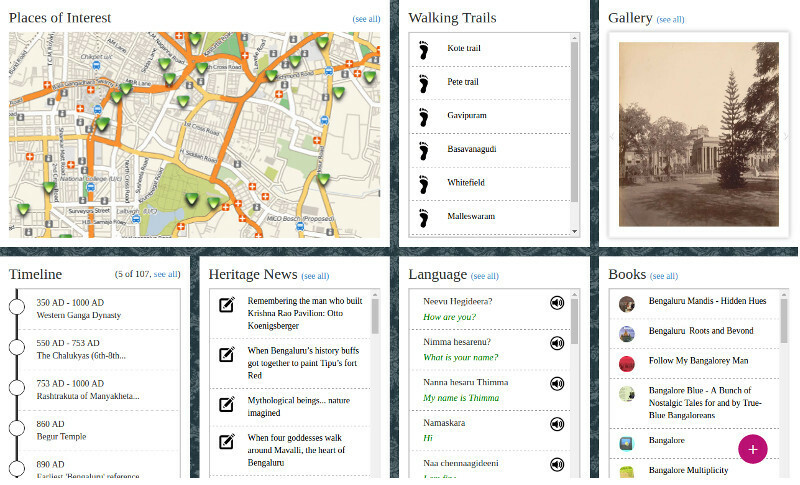 mPlaces - A city is a collection of many different places - homes, offices, schools, public spaces and more. 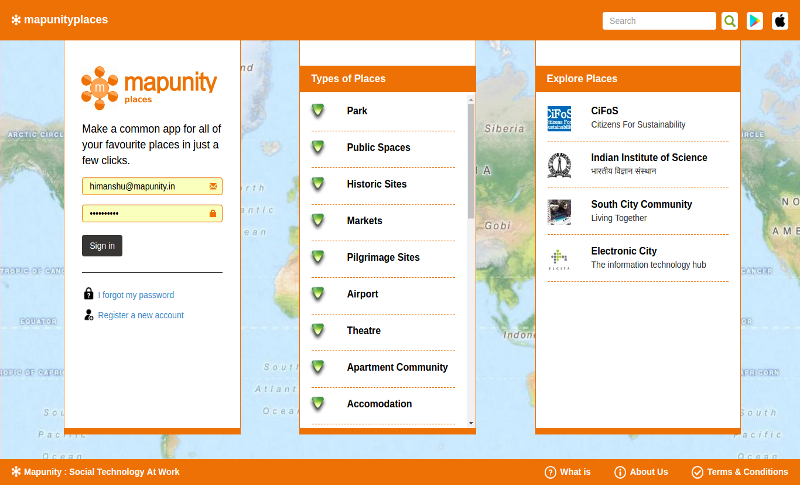 Make and share an app for any place in just one click, with mPlaces. mTrac - A personal tracking app that lets you share your location with friends and family for specific periods, at intervals of time specified by you. Simply turn tracking on and share using any one of different social networking tools.